The student conference is an annual event for older secondary school and sixth form students. It is an exciting opportunity to hear from and engage with leading academics in the field of China’s current affairs. 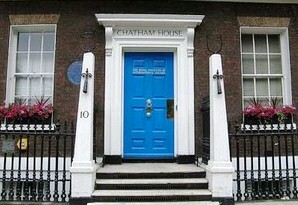 This event is typically held at and hosted by the Royal Institute of International Affairs , more commonly known as ‘Chatham House’ after its premises of the same name in St James’s Square, London. The world-famous ‘Chatham House rule’ is observed at this event. Who is it for? This conference is most suitable for all students in years 11-13 with a keen interest in China’s current affairs. It attracts a range of current and prospective students of international politics, history, geography, economics or Chinese language. The conference is conducted in English. Click here to read about the 2012 Student Conference. For more information about the Student Conference, please revisit ci.ioe.ac.uk regularly. For the latest news on this opportunity and others like it, please sign up to the Mandarin Chinese Teaching e-forum.